Winter hardy. Becomes dormant from autumn to spring. Cabbage, Broccoli, Strawberry, Dahlia and Dianthus. Start with purchased plants, or start seeds indoors in late winter to early spring. 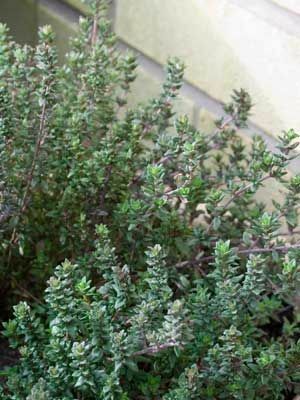 Thyme can be grown from seed, but some creeping forms are propagated only from rooted cuttings or divisions.